Live BLKCORECCO Benefit Compilation Released! We had planned to release a compilation of live tracks recorded at Black Country Recording Company at the two gigs we hosted with Jimm there this year – unfortunately, the full recordings from those gigs were also lost in the fire. 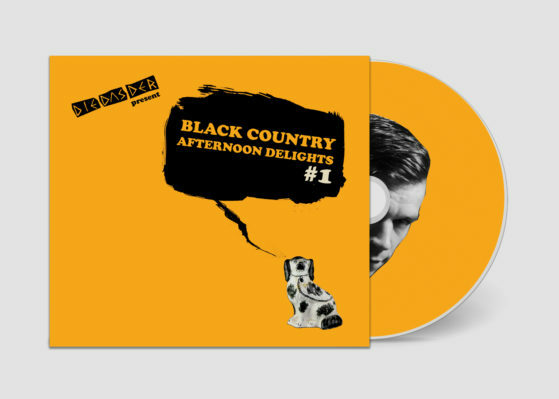 But a thorough search of Jimm’s cloud has turned up some early mixes of 5 of the 6 bands involved, and thus it is that today we release “Black Country Afternoon Delights #1” – featuring highlights of the live sets from The Double Happy, A Pig Called Eggs, Ghosts of Dead Airplanes, WAX FUTURES and Fauxchisels. Some of these tracks are ‘straight from the desk’ – but that’s just testament to the great live mix that Jimm had as they all sound absolutely massive. The album is available to buy now on download and CD (presented in full colour digipack) – immediate download with both options, and CDs will be posted out as soon as they arrive back from the manufacturer (later this week). All profits from this release will go straight to Jimm, as he tries to recover and rebuild after last week’s devastating fire. (So feel free to pay more than the recommended amount if you like). Thanks to all the bands involved for agreeing to help out with this. For now, hope you enjoy this compilation – and it gives you a taste for the things to come!